I hate the fact, that despite of freedom to do anything, when we are blocked to access websites like Facebook, Orkut in College, offices. Most of the time, network admin will implement hardware or script based blocking to these sites and we have to hunt down proxy sites to access these blocked site. Though, I never liked the idea of proxy site, as they are the first one to get blocked and getting a list of Working proxy site is tough. Most of these hardware firewall, detect and find these sites and block them in no time. I always suggest and prefer to use software based unblocking and there are many free options like Ultrasurf, Your-Freedom and Freegate, which you can consider using. Or if you are looking for paid but reliable options, you should consider buying VPN software’s. Alright, let me get into little bit of technicality here and give you an overview of proxy site and how do a proxy site work. When we surf internet from our house, we are directly connected to internet. All the website we access or open, our record (I.P) is logged. By using proxy site, we are using third party servers for surfing and we stay anonymous. We can use I.P based proxy or simply open free proxy sites like Hidemyass, Proxify to access website and stay anonymous. Though, I will never suggest you to use any of free proxy site to access your sensitive data like Emails,Â FacebookÂ and so on. Since, we can’t ensure the safety of our data when accessing anything using these proxy websites. No doubt that proxy softwares are the best way to access blocked website but again if you surfing from a public computer and quickly need to surf by hiding your I.P. 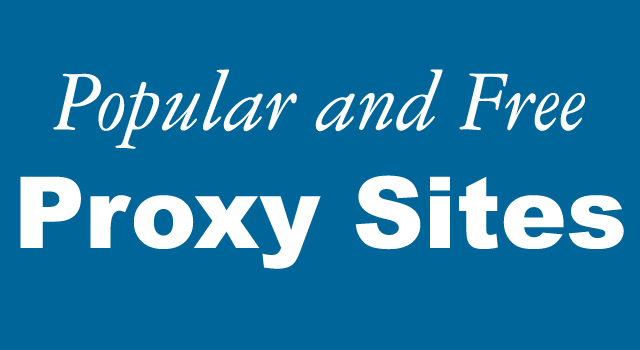 you can take advantage of these proxy websites which will unblock almost all the sites. Though there is a problem with these sites, as many firewall software can easily detect Proxy sites and put a filter on them. There are many such proxy Website and every day a new sites comes in. Here is my list of those websites, which have been there for ages and work most of the time. You can pick the one, which suits your requirement. Though, most of the time you will see an advertisement at the top but I believe that is ok as the cost of anonymous surfing. Do let us know if you are aware of more proxy websites which are not easily detected by firewall software and are working. Check out related posts for more options to unblock sites. 1 What are proxy sites?